3 workers fired for speaking out about safety violations with much-touted high speed line say safety issues are being ignored. Three ex-senior workers on the Tel Aviv-Jerusalem high speed train line slammed the project as a dangerous experiment with numerous safety failures, Channel 10 reported. 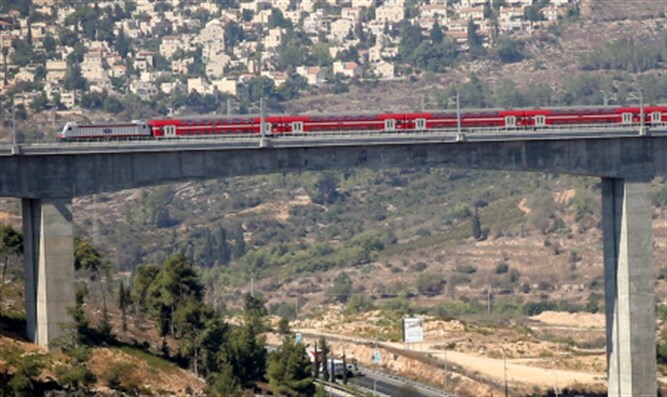 The line, which officially opened in September and was touted as reducing travel time between Jerusalem and Tel Aviv to under a half-hour, has been plagued by delays and technical problems. The workers stated in an interview which was aired on Saturday that they had been fired for speaking out about problems with the train line. Eran Zafoli, who worked as a foreman for Semi, the Spanish company involved in the construction of the line, stated that he "was told to shut up: ‘You’ll see stuff, don’t talk.'" Zafoli said that he had brought numerous issues, such as trains lacking proper brakes or conductors who lacked licenses, to the attention of his superiors, and that one train which carried hundreds of passengers came within inches of crashing into a work vehicle which had mistakenly moved onto the tracks. Victor Udarov, a safety supervisor with experience laying tracks in the Soviet Union, stated that the condition of a number of vehicles involved in the laying of the electricity lines was appalling. "There’s nobody qualified and professional. That’s why I’m afraid to take this train — I saw how it was built," he said of the numerous safety violations he witnessed. Shai Waksman, who worked for Israeli company Baran, warned that "there is no electricity according to the plan; there is improvised electricity." "It’s all completely haphazard, just to gain favor [with the public]," he said, blaming Prime Minister Netanyahu and Transportation Minister Yisrael Katz for pushing the project before it was ready. Waksman stated that under Israeli law, the electrified tracks had to be tested for radiation, but no testing was carried out. He wrote a letter noting the safety violations to the Prime Minister's Office, but received no answer.